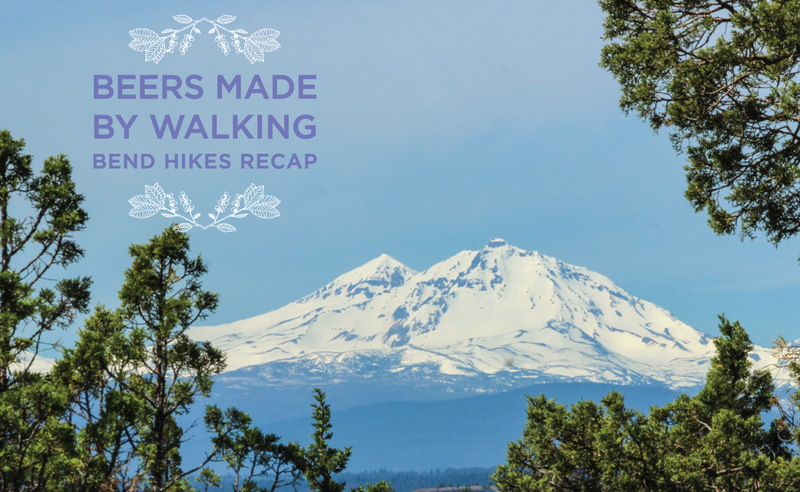 In the late Spring we set out on a series of three hikes with three breweries from Bend, Oregon. 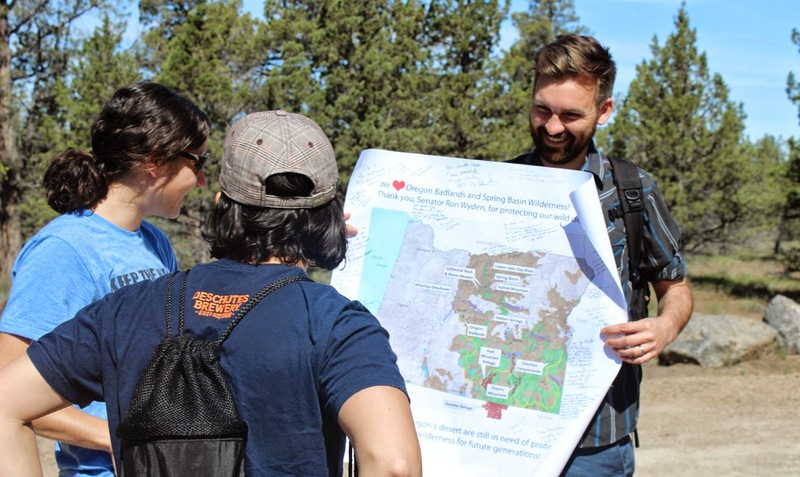 We paired up with the Oregon Natural Desert Association (ONDA), an organization that we appreciate because of their commitment to Oregon wilderness protection. ONDA chose a number of hike locations based off various projects they are currently working on. While we were on the trail they pointed out large amounts of wild, native edibles. The hikes were all free and open to the public. Throughout the summer the three brewers will develop beers that are inspired by the landscapes they walked in. The first hike took place at Lower Whychus Creek, and we were joined by Brandon Sylvester, a brewer at Crux Fermentation Project. We are really excited to work with Crux, one of the newest breweries in Bend, as we always enjoy their top-notch beers when we visit the area. The lower Whychus is within the Whychus-Deschutes Wilderness Proposal. Whychus Creek provides prime spawning habitat for bull trout, a threatened species under the endangered species act, as well as salmon and steelhead now returning to the watershed. Whychus Creek and the Middle Deschutes River to the east draw thousands of visitors for fishing, hiking and exploring the canyons each year. In spite of the importance of these places to the region, the place where these two waterways come together lacks permanent protection, and is in an interim phase for wilderness designation. 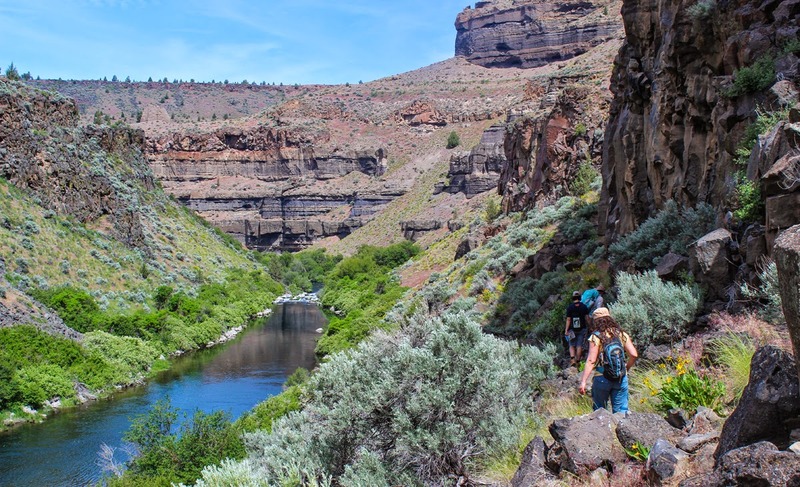 ONDA and local partners are seeking the permanent designation of wilderness for the Whychus-Deschutes area to ensure that this spectacular landscape remains wild for future generations. The beginning of the walk starts with a view of mountains to the West. To the north and east we saw a ridge with burn marks from a recent fire. The hills are covered in old-growth juniper that range 200-600 years of age. As we descended the ridge we walked near the head of Alder Springs, a cool spring that releases a surprisingly large amount of snowmelt from the mountains. Many of the plants we saw during that hike are plants that dominate the area. 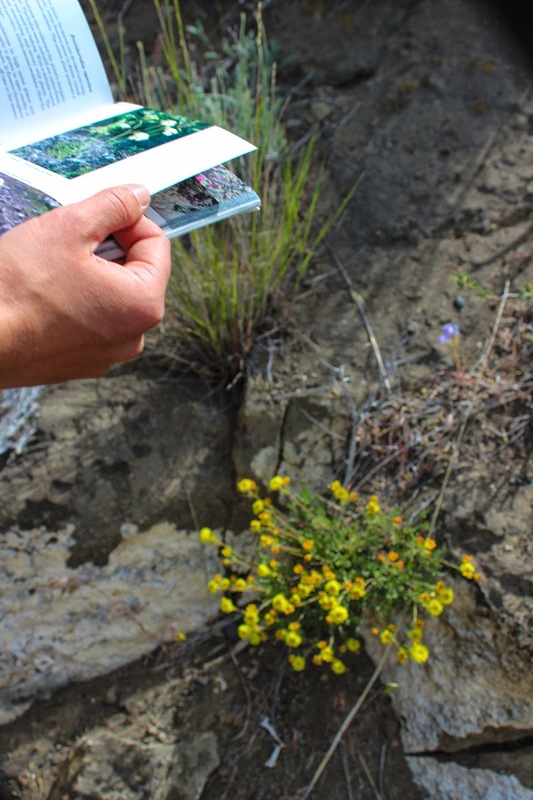 Juniper, yarrow, pine trees, sagebrush are some of the more common and easily identifiable plants. 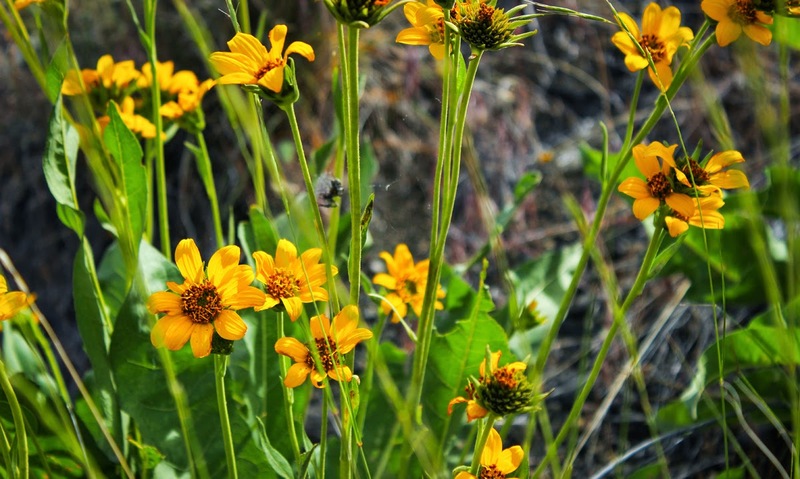 Some plants we knew less about included buckwheat, wild flax, arrow leaf balsam root, and desert parsley. Near the creek we also saw chokecherry, mint, and wild rose. Brandon has a couple months to really think through a beer recipe, but during the hike he mentioned liking the idea of combining mint and rose hips. Before we turned around we observed the hoodoo rocks from the bottom of the canyon. Hoodoos are rock formations that are topped with rocks that are harder to erode than the ones underneath, so they form rock columns. Map of wildnerness areas in Oregon. Photo by Deschutes Brewery. We were joined by the Deschutes Brewery crew for our second hike. Brewer Veronica Vega is no stranger to the Beers Made By Walking program. In 2012 she was part of a BMBW hike in the Whychus Canyon Preserve and made Sage Fight IPA, a beer that compliments NW hops with generous amounts of juniper and sagebrush. Last year the beer won a silver medal in the Indigenous Style category at the Great American Beer Festival. The new style category is one that we're really happy to see because we love place-based beer. Arrow-Leaf Balsam. Photo by Deschutes Brewery. Middle Deschutes River. Photo by Deschutes Brewery. We hiked the Middle Deschutes River, which is also part of the Whychus-Deschutes Wilderness Proposal. We descended an occasionally steep trail on a wildflower-covered hill, down a canyon to the Deschutes River. After a quarter mile or so along the river we came to the place where the Whychus Creek and Deschutes River meet. On all sides of the canyon we could see little springs feeding into the river. Leaving the Deschutes River and ascending to the trailhead. Photo by Deschutes Brewery. Some of the plants that stood out to Veronica included Indian ryegrass, aarow-leaf balsam, juniper, and really everything we saw. She also was thinking about some way of incorporating spring water into her brew. There was one plant in particular, though, that none of us could easily identify. The aroma smelled slightly candy-sh and slightly oregano-ish. After the hike, back at ONDA, we were able to confirm that the plant is desert oceanspray. Veronica was very interested in incorporating that plant into the brew. We're looking forward to seeing what she comes up with! Juniper berries. Photo by ONDA. The final hike in the area took place in early June. The season for our hikes is much shorter in Bend than it is in places like Portland, because the heat and dryness brought on by the summer. This hike was joined by Chad Kennedy of Worthy Brewing. Worthy is another relatively new brewery in Bend. Chad was previously a brewer in Portland and the BMBW founder had previously worked with him on other inventive beer projects. We like Chad's approach to beer making, especially when it comes to highlighting complexities of hops. 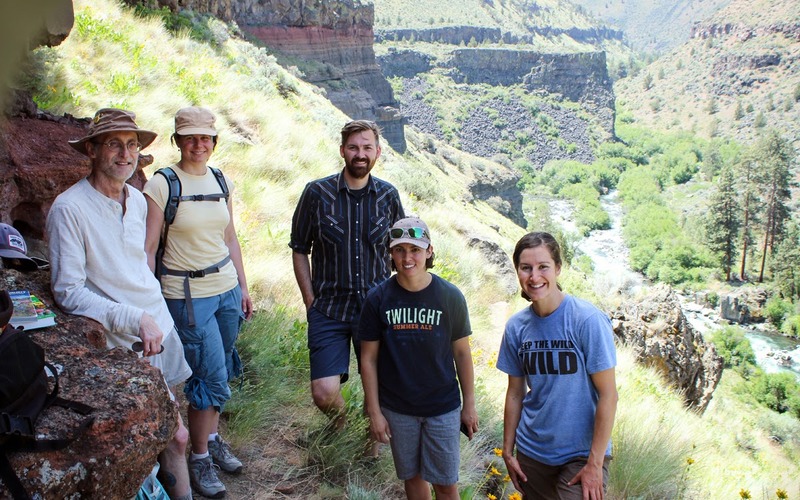 The Friends of Oregon Badlands Executive Director, David Eddleston, led us on a 3.5 mile exploratory hike off-trail to some little-known wonders of the Oregon Badlands Wilderness. Along the way, we wandered through ancient junipers, some over 1000 years-old, and marveled at the spectacular display of desert wildflowers. It was the most wildflowers that David or the folks at ONDA had ever seen blooming in the Badlands. Among the flowers we saw were several types of wild buckwheat, thread-leaf phacelia, oregon sunshine, larkspur and dwarf purple monkeyflower, which carpeted the dry sandy soil in many places. We also observed a healthy variety of native grasses, including idaho fescue, needle and thread grass, bottlebrush squirrel tail and Indian rice grass. Hikers had the opportunity to experience the geology of the Badlands firsthand by climbing up onto several inflated lava formations or "tumuli" and descending down into cracks in the rocks that are similar to mini slot canyons. As far as flora, I think we would be remiss if we didn't do something with the obvious ones - sage and juniper. However, I'd also like to look into some of the seeding grasses in the area (and especially see if we could malt small quantities of any). There are also a few more flowers that I will need to look into more - one with bittering qualities. Of course, all these plants are in a Wilderness Area so I will have to obtain permission from the BLM before harvesting anything for commercial use. We are really looking forward to seeing what these three fantastic brewers will come up with for a Beers Made By Walking tapping event in Bend, Oregon. The tapping will take place sometime in October. The exact details are still being sorted out, but you can stay up to date by joining our email list and following us on Facebook. The beers will serve as a fundraiser for the Oregon Natural Desert Association so now you have multiple reasons to drink these experimental, tasty, place-based beers.